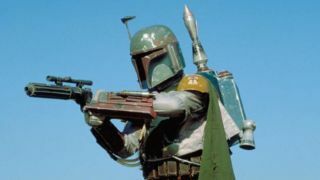 A Boba Fett standalone movie is apparently in the works and – get, this – it’s possibly being directed by James Mangold, who helmed Old Man Wolverine movie Logan last year. So, after a few months where we’ve already seen (and heard the backlash about) Star Wars: The Last Jedi and are just about to lay eyes on Solo: A Star Wars Story, we could be getting yet another brand-new adventure from a galaxy far, far away. But how much is too much? As reported by THR, Mangold has signed on to direct, as well as taking up writing duties alongside his Logan collaborator Simon Kinberg. As of writing, neither Disney nor Lucasfilm has confirmed the reports. Not a lot is known about what adventures the bounty hunter may get up to (I badly want 127 Hours, but in a Sarlaac Pit), but you’d imagine a prequel would work well for Boba Fett, who made his Star Wars debut, bizarrely, in 1978’s Star Wars Holiday Special. What with *deep breath* this, Star Wars 9, the long-rumoured Obi-Wan movie, Rian Johnson’s trilogy and whatever the Game of Thrones showrunners cook up in their movies, we could be looking at a minimum of seven movies over the next decade which is… quite a lot, if you ask me. Still, it’ll be nice to explore a different genre within Star Wars. Fett was always more of an outright Western-style figure and, with Mangold having previously directed the 3:10 to Yuma remake, that looks like a match made in cowboy heaven.